​Northern Kentucky has played an important role in the movement and production of whiskey throughout our country’s history. Today visitors can explore the booming craft distillery scene, shop at Newport on the Levee and enjoy a delicious meal and cocktails at any of their top-notch establishments. Stay tuned for more info on the B Line experience! Start your Kentucky Bourbon Trail Craft Tour® passport at New Riff Distilling. Discover how New Riff is putting their own modern spin on an age-old tradition, making high quality Kentucky Straight Bourbon Whiskey. Make sure to stop by the Party Source next door to peruse their Bourbons and hundreds of spirits offerings. When in Northern Kentucky, stop by Neeley Family Distillery to see what 11 generations of distilling heritage looks like, and how they transitioned their focus from moonshine to Kentucky Bourbon. Just a short drive south from New Riff will bring you to the Boone County Distilling Co. Boone County has taken up the tradition of a distillery that once was located only miles from the facility. Stop in to see why their spirits are “made by ghosts” and sample their Kentucky Bourbon, Bourbon Cream and their White Whiskey, Tanner’s Curse. From Boone County, following the river to Maysville – a picturesque town nestled on the banks of the Ohio River in northeastern Kentucky, just one hour southeast of Cincinnati, Ohio. The Old Pogue Distillery is operated by fifth and sixth generations of the Pogue family whose ancestors began operations in Maysville in 1876. Old Pogue makes only Kentucky Bourbon and rye whiskies using their time honored family recipes. Be sure to make an online tour reservation at Old Pogue as walk-ins are not always available. Paris is comprised of miles of rolling hills, quiet streams and some of the world’s finest thoroughbred horse farms. Contrary to its name, Bourbon County was not home to an active distillery since prohibition until Hartfield & Co. Distillery opened in 2013. Hartfield & Co. pride themselves on using local grains, most of which come from within 10 miles of the distillery. Don’t leave without enjoying a cocktail next door at Prichard & Bail. Located in a newly renovated complex that was formerly an old bakery and colloquially known as “the bread box”, there’s plenty to do when visiting Bluegrass Distillers. Find out how organic and locally sourced grains make all the difference in this unique Bourbon. Barrel House Distillery true to its name, is housed in the former barreling house of the James E. Pepper distilling complex which operated from 1879-1958. 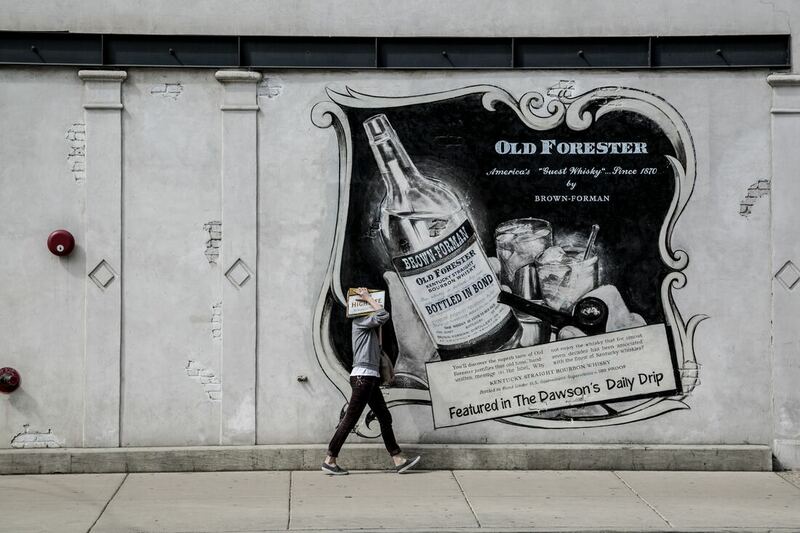 Grab a drink at the adjoining Elkhorn Tavern and explore the old distillery district. With great Bourbon, cuisine, shopping and horses, there’s no better place to hang your hat than Lexington. Another Official Trailhead of the Kentucky Bourbon Trail™ and touted Horse Capitol of the World, it’s the perfect place to recharge for your next day of Bourbon adventures. Speaking of horses, if you want to check out some thoroughbred farms, our friends at Horse Country Tours have a VIP seat with your name on it. For an “artful” escape, book a room at the 21c Museum Hotel – part boutique hotel, part contemporary art museum, and part restaurant in the heart of downtown Lexington. 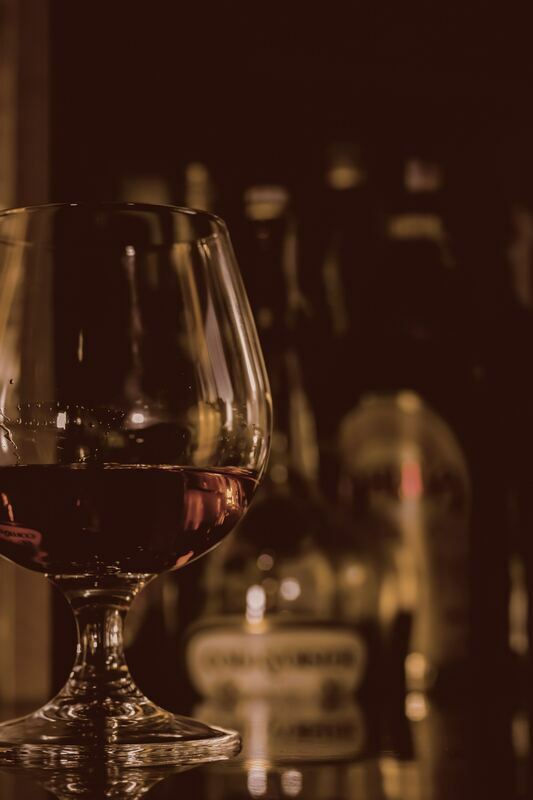 Dine at the on-site Lockbox restaurant for cuisine highlighting the region’s best ingredients, then hit the bar to sample over 60 fine Bourbons and Ryes. Distilled at Gratz Park is the perfect spot for a romantically exquisite meal and a Bourbon or cocktail from their extensive list. You can’t leave Kentucky without popping the top on Ale-8-One, Kentucky’s oldest surviving soft drink with a kick of spicy ginger. Kentuckians love to drink it straight or mix it up in a cocktail. If you want to keep heading west…we won’t stop you! They’ve been making whiskey in Anderson County for centuries, and this historic town is waiting to share their timeless secrets. Make sure to swing by Sweet Mash Southern Goods for unique Bourbon gifts and food items or a delicious grab ‘n go lunch. Next destination – Danville: the birthplace of Kentucky. Enjoy the beauty of the Bluegrass as you stroll through the vibrant downtown while taking in the historic, small-town charm. Wilderness Trail Distillery uses local grains and their signature distillation process to produce its spirits right here in Danville. Learn about the chemistry of distilling and sample their Bourbon, rye, sorghum rum and vodka. Settle in to the historic Beaumont Inn for dining, drinks and relaxation in Kentucky’s first settlement. Listed on the National Register of Historic Places, the Beaumont has 31 guest rooms, spa and massage services and offers delicious Southern cuisine. Don’t miss the adjoining Old Owl Tavern and their generous selection of Bourbon brands. Call to setup your own Innkeeper’s Bourbon Tasting with house Bourbon specialist, Dixon Dedman. Lebanon is literally the “heart” of Kentucky — it’s the geographic center of the Bluegrass State–and an Official Trailhead of the Kentucky Bourbon Trail™. There’s a lot of history in this small town with the Civil War Trail and the John Hunt Morgan Trail. Grab a snack downtown and then stop by the beautiful Limestone Branch Distillery, a founding member of the KBT Craft Tour®. 7th generation Beams – Steve & Paul – will let you sample some of their award-winning products including the Yellowstone Bourbon, Minor Case Rye, and the MoonPie Moonshine. Make your way back to the Bluegrass and continue your journey in historic Bardstown – the Bourbon Capital of the World® and an Official Gateway to the Kentucky Bourbon Trail™. Start your day in Bardstown at another historic distillery rich in family history. Tour the grounds at Willett Distillery and don’t leave without stocking up on some Willett Family Estate, Johnny Drum, Rowan’s Creek, Noah’s Mill or any of the special releases they have that day. Less than 2 miles from the center of enchanting Bardstown on an old tobacco farm you’ll find Preservation Distillery + Farms, a small operating farm and distillery making 100% pot distilled Bourbon and whiskey in 1-3 barrel batches. Longhorn cattle roam the property, and with itty bitty releases of their Olde St Nick, Wattie Boone, Cowboy Little Barrel and Preservation you’re sure to have a worthwhile visit. Don’t miss an opportunity to dine on classic Kentucky fare in the Old Talbott Tavern (try the fried green tomatoes), have a nightcap in the “world’s oldest bourbon bar”, and even spend the night if you feel so inclined. And take a stroll through the past in the Oscar Getz Museum of Whiskey History. Next you’re going to head west to get some more stamps in your passport. Make your way to the charming Dueling Grounds Distillery to sample their newly released Linkumpinch Bourbon or their delicious fruit liqueurs. Next up – MB Roland Distillery. A complete grain-to-glass distillery, MB Roland uses local grains to produce their line of spirits. During the summer and fall months they offer their “Pickin’ on the Porch” concert series right on the porch of the distillery. On your way to Louisville, make a pit stop in Shepherdsville – a perfect and convenient place to go shopping, dine or lay your head after so much Bourbon education. Don’t miss the Bernheim Arboretum and Research Forest across from Jim Beam. Bullitt County also is home to the famous Zappo’s shoe outlet, if you need new treads for your trip. Just a kick jog off the interstate in downtown Louisville brings you to the Kentucky Peerless Distilling Co. Learn how the Taylor’s are preserving their family’s 130-year distilling tradition as you tour their beautiful facility. Take home some of their Lucky Moonshine and ask about the specially designed bottle; or try the first brown spirit produced by the family in 100 years – Peerless Rye Whiskey. Your next destination is nestled in the quiet countryside just outside the city. Kentucky Artisan Distillery produces its own label, Whiskey Row Bourbon, a blend of small batch barrels mirroring the recipes that came about during the westward expansion of our nation. When you visit Jeptha Creed Distillery, you feel like family. The Nethery’s use an heirloom variety of “bloody butcher” corn to make their Bourbon, and raise their own produce they use to infuse their spirits with. 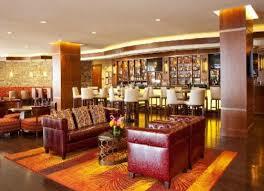 After your tour, grab a cocktail and gaze over the rolling hills and rickhouses. Louisville is a great place to end (or begin) your Kentucky Bourbon Trail Craft Tour® adventure – after all, their official drink is the Old Fashioned! When you’re not touring one of Louisville’s legendary distilleries, you can dine, shop, relax, and discover what “Bourbonism” means to us. Don’t forget to grab an Urban Bourbon Trail® passport and start dining your way around town. We are also pleased to announce that the Frazier Museum is the home of the Kentucky Bourbon Trail® Welcome Center and is now open on historic Whiskey Row. This is the perfect stop to help plan your future Bourbon travels and see their amazing The Spirit of Kentucky exhibit. Time to stock up! Grab some old favorites and maybe some hard to find gems at Westport Whiskey & Wine. Show your Kentucky Bourbon Trail® or Craft Tour passport and ask about their discounts and special offers! Need to take a walk on the sweet side? Indulge in delectable Bourbon truffles and other divine confections at Art Eatables. Get your belly full and enjoy a well-crafted Bourbon flight at Bourbons Bistro, Louisville’s foremost Bourbon bar, located in the historic Clifton district. With a selection of more than 130 Bourbons, including an exclusive barrel selection program, Bourbons Bistro has a seasonal menu that is Bourbon inspired and locally sourced. The Kentucky Bourbon Trail Craft Tour® is an essential adventure for the Bourbon enthusiast looking to go deeper than ever. Winding through the rolling hills and Bluegrass fields, this tour takes you further into the unrivaled craftsmanship of the Kentucky Bourbon industry than ever before. ​This innovative tour is designed for those looking to experience Kentucky Bourbon at its very core. Try new handcrafted brands, sample our spirit and collect stamps from all 14 distilleries to earn an exclusive reward through our Passport program–a classic Kentucky julep cup. We suggest at least five days to complete the full KBT Craft Tour Passport, but take your time and savor the experience. Like the Kentucky Bourbon Trail® tour, the Kentucky Bourbon Trail Craft Tour® has no beginning or end, so it’s probably best to plan your trip based on the charming communities and cities where you’d like to spend the night. There’s something for everyone – big-city nightlife, quaint country towns, Bourbon-themed hotels and historic bed & breakfast accommodations. Travelers along the Kentucky Bourbon Trail Craft Tour® should note that some of the micro-distillers may have limited touring days. The itinerary below outlines just one path to visiting each distillery in five days, but feel free to arrange the trip any way you want. Need a place to stay? We have options! 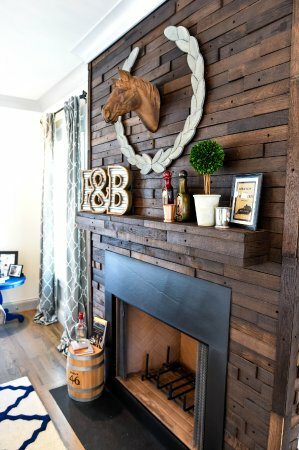 When booking at the Marriott Louisville East, ask about the Bourbon suite complete with Bourbon-barrel decor. Enjoy a “Bourbon of the day” and other nightly drink specials at Charr’d Bourbon Kitchen & Lounge. For a downtown option, the Omni Hotel can’t be beat (opening March 2018). With an on-site bowling alley, pool, market, and signature restaurant Pin + Proof, you’ll never want to leave…until Bourbon calls! If you’re looking for luxurious, southern accommodations a little off the beaten path, check into the Chateau Bourbon B&B for a great night’s sleep and a Bourbon-inspired breakfast.